Welcome to Jim’s Butchery. We know you only want the healthiest & freshest cuts for your family. That is why we supply quality meats at affordable prices direct to the public from our butcher shop in Darlinghurst, as well as to local cafes and restaurants. Jim’s Butchery was established in 1962 and is still the same family owned and operated business. At Jim’s Butchery, we pride ourselves on providing personalised service and the finest cuts of meat available. Visit our butchery in Darlinghurst and our expert staff can help you find exactly the right cut of meat you need. You can also purchase here at our online shop for your convenience. We are full of great ideas on how to cook any given cut and turn your next meal into a mouth watering feast. Our experienced, qualified butchers can prepare special cuts to order. 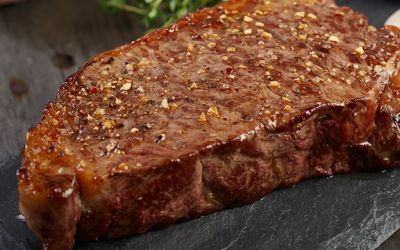 All our meat is sourced daily so you can be assured of the finest quality & flavour. Our Australian Beef is sourced from the finest farms in rural NSW and hand selected to give you the best quality beef and best tasting beef. Offering a variety of cuts, we can cater to all your needs, big or small. Our Australian Chickens are 100% hormone and antibiotic free chickens. Our chickens are also natural meaning there are no artificial ingredients or preservatives. Our Australian Lamb is tender, juicy and tasty as we source only the best lamb for our customers from the far reaches of NSW. We csn offer you all the cuts you like as well as whole animals for your spit roasts. Talk to us today for friendly advice or order online at your convenience. We only source Australian Pork with outstanding quality to give you the most tender, juicy and flavorsome taste. We also sell free range pork. We can provide any cut you’d like as well as whole animals for spits. We are here to assist you with all your needs so please let us know how we can serve you today. 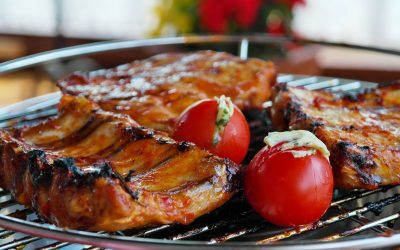 We stock sauces, condiments, BBQ accessories and much more. Please see our shop page for all our products. “Peter and the team at Jim’s Butchery are always so helpful and their delivery to our door has made ordering a breeze.” Maria T.
In this section, Jim's Butchery gives you the knowledge so you can get the most flavoursome cooking from your meat. Knowing your cuts of meat will help you understand how each cut can be best prepared, marinated, cooked and much more. You can also subscribe to our newsletter below so you don't miss out. 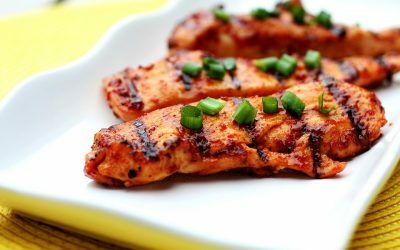 Marinated Smokey Chicken with Beer & Spices! Subscribe to our newsletter for weekly specials, cooking tips and much more. Thank you for subscribing. You will receive a confirmation email shortly. Please confirm your subscription when you receive it.